MANILA, Philippines – Makati has been named the most competitive city, and Daet in Camarines Norte the most competitive municipality this year. They were picked from a list of 535 cities and municipalities evaluated in the Cities and Municipalities Competitiveness Index (CMCI) 2014 report. Following Makati as most competitive cities were Cagayan de Oro in Misamis Oriental and Naga in Camarines Sur. For municipalities, General Trias in Cavite ranked second, and Kalibo in Aklan was third. The CMCI report featured a record number of 136 cities and 399 municipalities, up from 122 cities and 163 municipalities in its pilot run in 2013. The rankings were based on 3 key factors: economic dynamism, government efficiency, and infrastructure. The National Capital Region cornered the economic dynamism category, with the cities of Parañaque, Makati, and Manila taking the top spots. Among municipalities, the most economically dynamic were Tanza and General Trias in Cavite, and San Pedro in Laguna – all from Region IV-A, CALABARZON. 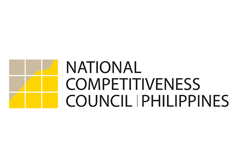 National Competitiveness Council (NCC) co-chair Guillermo Luz said the economic dynamism scores were based on the size and growth of the local economy as measured by business registrations, capital, revenues, and occupancy permits; capacity to generate employment; cost of living; cost of doing business; financial deepening; productivity; and presence of business and professional organizations. Meanwhile, the top cities in terms of government efficiency were Naga, Iloilo in Iloilo, and Angeles in Pampanga. The most competitive municipalities in this category were Kalibo, Tupi in South Cotabato, and San Mateo in Isabela. Government efficiency scores were based on transparency, economic governance, local taxes and revenues, local competition-related awards, business registration efficiency, investment promotion, compliance to national directives, security, health, and education. For the infrastructure category, the top cities were Davao in Davao del Sur, Cagayan de Oro in Misamis Oriental, and Marikina. For infrastructure, the most competitive municipalities were Daet, Rodriguez in Rizal, and Paniqui in Tarlac. Infrastructure scores were based on existing road network, distance from city/municipality center to major ports, Department of Tourism-accredited accommodations, health infrastructure, education infrastructure, basic utilities, infrastructure investments, ICT connection, ATMs, and public transportation. The CMCI report was developed by the NCC through the Regional Competitiveness Committees (RCCs) with the assistance of the INVEST Project of USAID.